Anyone out there in Bolton and district who is new to running and fancies company for evening and weekend training runs? I am 49 and female and don't want to run alone. I'm also 2 stone overweight and need to get faster and fitter. I'm currently at the 12-minutes a mile stage. hi fatlump; why not change to fit person because you are tryingm, have some confidence in yourself..fatlumps sit infront of the telly and dream of training. i'm training at the moment and need a running partner in the Bolton area do you run weekends? You are right, I do need a confidence boost-sorry to sound such a wet blanket but I'm hoping when I can run a bit faster and better that my confidence will improve. I agree with Anna, I have plenty of friends who are too bone idle to make the effort. If you're doing 9 miles, you've got plenty to be confident about. I'm going down to join Bolton Harriers (nr Leverhulme park) on Thursday (7/11) . Why not join there yourself, as there are groups for different levels. You sound a bit quick for me at the moment but good luck at Bolton United Harriers.I think its great to go out at 6am - the experts say you can really burn off the calories when you excerise early morning. hello keith.. well i'm going to leverhulme park on 7/11.. (what about you fatlump)? hello fatlump...if you want to run weekends i'll be happy to tag along, it's always better to run with someone to talk to, that way you forget the pain! any way you sound as if you are doing ok just think 9 miles... how many people get a bus for that mileage! Hi Anna, I'm going down to Leverhulme for around 6.30pm, so maybe I'll see you there. I also live in Bolton (Westhoughton) and am currently running on my own and looking for someone/running club to run with. I run 6/7 miles every other night and about 10 miles at the weekend. I've thought about joining Bolton Harriers but am a little nervous about going down on my own. Let me know what it's like and I might join you next week. I would like to join you and am interested in improving. hi keith..it was great to meet you..i really enjoyed the run 2-nite especially the shower! i will definatley go next week..if your round jumbles weekend let me know..
hi fatlump..i went to bolton harriers 2-nite and met keith it was great..they have a track there so you can run safely on that..bury athletic club also have a lit indoor track which you can use i really recommend using them in the begining..can be a bit boring but perhaps it will motivate you to do a bit more..
hi ruth..why not join a club not every one runs miles and miles..most clubs have runners at all levels..i do understand that it's not easy to just walk in to a strange place but i did it 2-nite and feel a lot better for it.. you only have to do it once! hi adrian..bolton harriers was great really friendly and with loads of options depending on what you want..i really recommend it..give it a go..i think i pb'd 2-nite..it sure felt like it! Glad you enjoyed Bolton Harriers - have you actually joined already or did you just go for a "taster"? Horwich RMI Harriers has a track and is a club with loads of excellent coaches. They meet Tuesday and Thursday just like Bolton also they have long weekend groups for marathon training or just to do a long run with someone. I think I would go there as its my end of town so to speak. Well done to Anna Krala on her pb. Family loyalty means that joining Horwich instead of Bolton is not an option!! I enjoyed Bolton last night. The facilities are good and everyone is friendly. There's a few different groups, and I ended up running my fastest ever 10k!!!! It's a tenner to join 'til April. It was great to see you there Anna. I've no training partner this Sunday, so if you want to meet at Jumbles, I tend to leave home around 8am, so could maybe meet you between 8 and 8.30 ? Thanks all for the reports on Bolton Harriers, sounds good, I think I'll come along next week. What time and where do they meet? It's next to the athletics track at Leverhulme park in Breightmet. They meet tues and thurs at 7pm, but I can only get there on thurs. hi adrian..8.30 is a bit early this week for me i'll be running about 11.30ish i cant make tues this week but i'll see you thursday..hey didn't know you also pb'd! Hi Anna, hope you enjoyed your run this morning. I went round Jumbles and Wayoh, but by the time I got to Entwistle, I was sick of running through mud and puddles, so I went home via the road through Chapeltown. I'm obviously a townie at heart!! ive not done any exercise since I was In school apart from when I was 27 I tried to run and only ever managed to do 1mile if I was lucky. Anyone in Westhoughton who is completely unfit like me who wants to get fit and is just ashamed as I am who would be willing to go for a run with me? Hi shelbeginner, have a look at the Over Hulton Running Club. 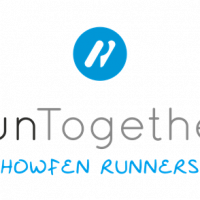 This group was started recently by a running buddy of mine (Mel) who lives in Westhoughton herself - she is a trained coach and getting back into running after having her baby last year. I'm not familiar with the group itself but as far as I've seen, a few people go out with their buggies on a Tuesday morning, doing a couple of miles or so. Not sure if they do other days/sessions too, so it would probably be worth contacting Mel and asking for details/advice. Mel is lovely and will be very encouraging - you will absolutely not need to feel intimidated in any way, and even if you don't feel ready for the group sessions just yet, I'm sure she'll be able to give you some pointers. Her baby must be a similar age to yours so she'll be very understanding of that aspect too! Search for 'Over Hulton Running Club' on Facebook, or if you don't use Facebook, feel free to message me and I can pass your details on. Good luck and I hope it works out for you!